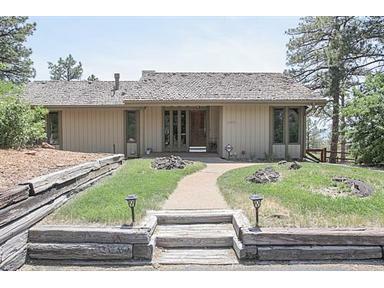 Over 3000 Fin Sq Ft of Pottery Barn Charm on 2 Acres w Towering Pines & Mtn Views! A Full Remodel-Restoration Hardware Perfection*Walnut Flrs, Beamed Ceilings*Exposed Brick*Shows Like a Loft But in the Woods! *Gourmet Kitchen*Radiant Heat/Evap Cooler w 4 Zones*Trex Dec*12x16 Shed*Artificial Grass Play Area for Kids/Pets*Wood Burning Fireplaces*Private & Peaceful Yet Mins From Town*Don't Miss it, Will Go Quick! !